Among the many obscure ailments that afflicted Midwestern pioneers, it is doubtful if one has been more shrouded in mystery than was milk sickness. The disease was unknown in Europe or any other continent, occurring only in North America. White snakeroot is a shade-loving plant found throughout Indiana. It is commonly seen growing on roadsides, in damp open areas, or on the shaded north side of ridges. The plant is also found in western Ohio and the wooded parts of Illinois. These three states probably had the greatest quantity of the weed and probably do so today. By definition, milk sickness is poisoning by milk from cows that have eaten white snakeroot. 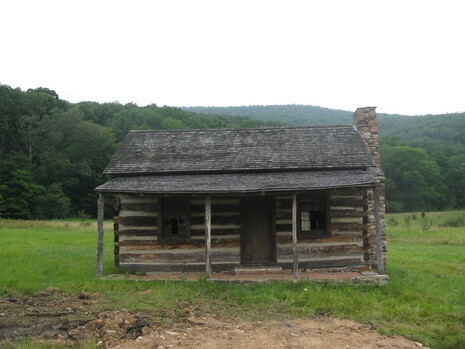 Many early settlers in the Midwest came into contact with the sickness. 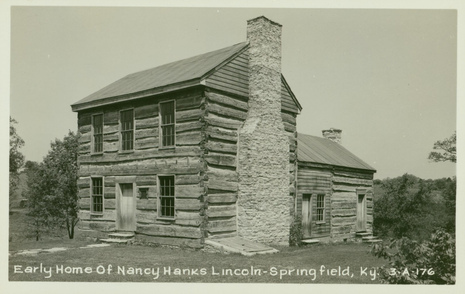 In the fall of 1818, Nancy Hanks Lincoln died as milk sickness struck the Little Pigeon Creek settlement. The sickness has been called puking fever, sick stomach, the slows, and the trembles. The illness was most common in dry years when cows wandered from poor pastures to the woods in search of food. In man, the symptoms are loss of appetite, listlessness, weakness, vague pains, muscle stiffness, vomiting, abdominal discomfort, severe constipation, bad breath, and finally coma. Recovery is slow and may never be complete, but more often an attack is fatal, as it was for Nancy Hanks Lincoln. 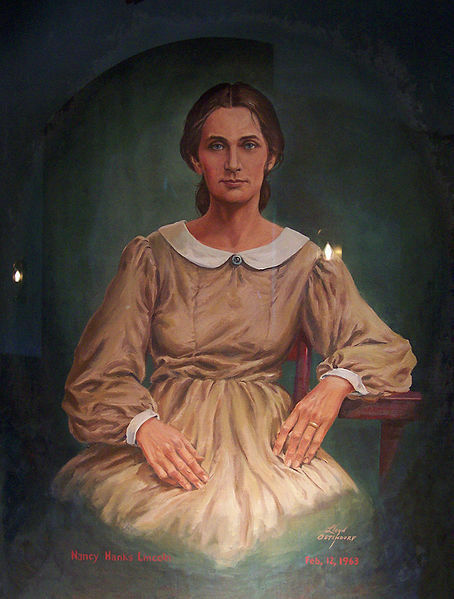 She died on October 5, 1818. While milk sickness usually develops when a person or animal eats the plant, the sickness can also occur if one eats heavily of the flesh of an animal that has died of severe white snakeroot poisoning. Within the present century persons have suffered and died from milk sickness in parts of Indiana, Ohio, and Illinois. It is written that more than half of the deaths that occurred early in the 19th century in Dubois County, Indiana, were caused by milk sickness. In the library of the Surgeon General in Washington, D.C. are some 200 articles pertaining to milk sickness, many of them in medical journals. Until the present century, few people -- including physicians -- knew much of the sickness. Milk sickness or "trembles" was more prevalent in late summer and early fall, but records show that many cases occurred in the winter and early summer also. In late summer, when the plant is in full bloom, it is easily recognized, growing to a height of 18 to 48 inches, more woodlands were cleared, cattle had adequate pasture even in dry weather. As a result the incidence of the disease tapered off. The mixing of milk from many cows at the dairy further reduces the chances of milk sickness today.